This is one beautiful work of color from the ever-so-lovely Lynn! A little lavender, a little cornflower, some delicate glitter...love it. This girl needs her own nail polish company, or at the very least, a blog so we can gaze at more of her creations! Beautiful! I love the name. It completely compliments the shade. Oooh, that is lovely!! I like the name, I like the glitter... it's just a really sweet color! Thanks for sharing it with us, Mary! seriously.. who made that and why doesn't she have a blog? Oh, Mary!!! You make me blush. I hope you are feeling better. 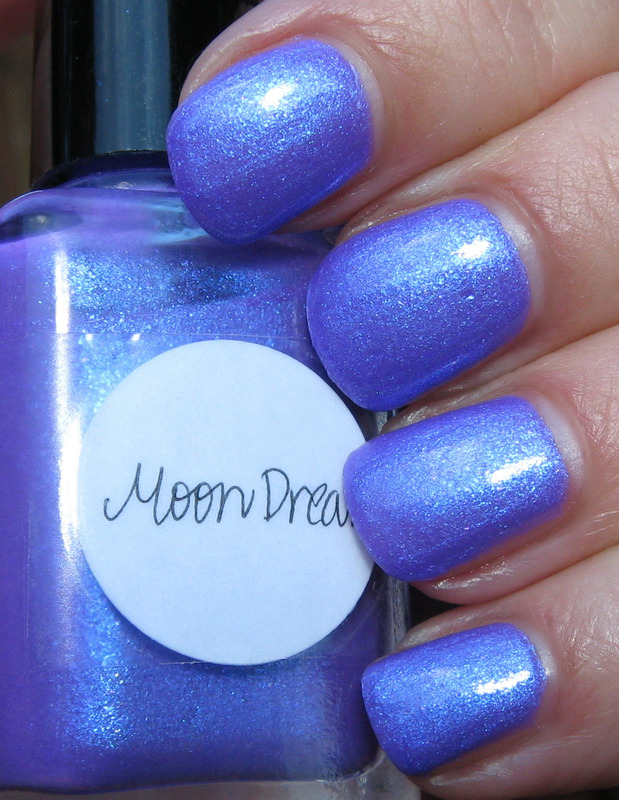 It was nice to see the MoonDream on your nails. Looks lovely on you. I'm absolutely in love with this! Does she sell that also? 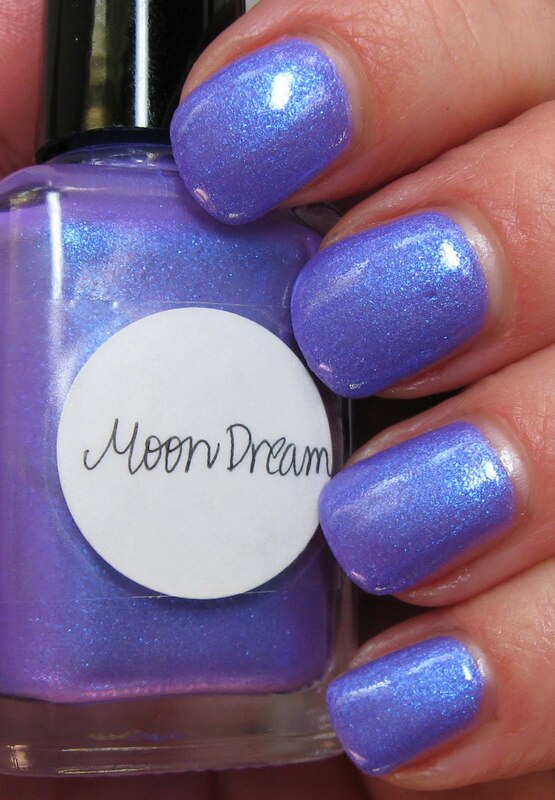 Purple with light blue shimmer, what more can you ask for? Oh my! You can't show such a gorgeous frankan and NOT give the recipe!!! I love it too much!!! That is absolutely beautiful. I'd definitely buy a bottle if she was willing to make more. Oh wow it's so beautiful, I'm always drooling whenever L8B posts frankens from Lynn on the NB and I recognized the beautifulness and the handwriting on the label immediately! Wow! Looks similar to Scrangie! Did she give you the recipe? There's a bunch of people who would love to have it! oh my goodness!!! so beautiful! she definitely needs an etsy shop, i'd be a regular customer! Oh, she definitely needs a blog! Amazing! An etsy shop for Lynn would be perfect! I'd buy her polish in a minute. Beautiful polishes. Pretty names, would more could I ask for? i need that color!!!! omg gorgeous!! !